All Heart Home Care offers flexible, San Diego home care assistance that meets a wide range of senior needs. Whether you need a few hours each week, round-the-clock care, or somewhere in-between, you want reliable San Diego home care that you can trust. Our compassionate and highly skilled caregivers can be depended on to provide the highest level of home care assistance in any situation. We will evaluate the personality of the client and our caregiver to find the best match. Seniors will find it easier to rely on a caregiver for their personal needs when they feel a connection with them. And that is exactly what we will deliver for everyone we help. At All Heart Home Care, we understand the unique personalities and needs of every client. We will create a personalized care plan that will meet the requirements of the individual. Our system of individualized care has proven effective for a long list of clients in a wide variety of situations. We employ many San Diego caregivers who share the same high-quality skills and compassion for caring while having unique personality traits and a diversity of interests. This allows us to provide compatible care that will make our clients more comfortable and happier. A carefully selected San Diego caregiver is more likely to be someone that the client enjoys having around. The aid we provide through home care assistance includes help for seniors and adults who have lost the mobility or dexterity to do normal everyday chores. We also provide care for clients of any age who are suffering from a degenerative illness or during the recovery of a debilitating condition. While you are being treated for a medical condition, our San Diego caregivers can provide many supportive services to help. They can assist you through rehabilitation techniques, remind you to take your medications, drive you to doctor’s appointments, provide nutritious meals, and so much more. As people age, they often develop health conditions that make the simplest activities difficult or impossible to perform. Washing and brushing their hair, using the bathroom, or getting showered and dressed can become much more challenging. Getting the proper nutrition is important and holds especially true for someone who is elderly, dealing with an illness or injury, or trying to recover. The dietary services we offer with our non-medical home care service includes menu planning that meets our clients’ specific dietary needs. Our caregivers have a diversity of cooking skills and many are exceptional cooks. They can provide healthy meals that meet their nutritional needs and incorporate some of their favorite dishes. They will monitor the client’s diet intake and check expiration dates on the foods to ensure they are safe to consume. The nutrition and diet care services provided by our caregivers include: personalized meal planning, updating the grocery list, grocery shopping, preparing meals, and cleaning up. Managing a household can be challenging for seniors and even more so for those clients who are restricted to bed and have household responsibilities that must continue to be met. They may have to manage appointments with their doctor, pay monthly bills, refill prescriptions, and remember when to take their medications. Our caregivers can provide a wide variety of household management chores that the client is no longer capable of doing. These may be simple tasks such as answering the phone or retrieving and managing the mail. The caregiver can also perform tasks that are personally important to the client such as mailing out letters and cards or gifts to their family members. Our caregivers will make sure everything is taken care of and that tasks are performed on schedule. All Heart Home Care has a long history of providing home care assistance to San Diego residents who are elderly and/or ill. Many suffer from symptoms of Alzheimer’s disease or other forms of dementia. Those at all stages of these diseases can benefit from a variety of memory exercises designed to engage their memory. These exercises can also help reduce signs and symptoms of Alzheimer’s disease and dementia. Our caregivers are trained to perform a number of activities that will help our clients retain their memory. They can slow the progression of memory-robbing conditions and keep them engaged and happy longer. Many seniors who rely on All Heart Home Care for home care assistance in San Diego still have the need to go to places away from home. Our caregivers will not only drive them to medical appointments, but also to shop, have lunch with a friend, or to go out sightseeing for a day out of the house! They provide professional and safe transportation services that help our clients get where they need to go in a timely manner. Our caregivers are highly qualified and they have been given extensive background checks and we insure them with a supplemental auto/non-owned auto insurance for client’s peace of mind and to ensure the safety of our clients. Studies have proven that companionship and social connections can improve mood and cardiovascular health. Caregivers can provide companionship services that will help clients heal faster following surgery, an illness, or trauma. Our Companionship service will help keep your loved one engaged physically and mentally. Companion caregivers will help them relive important memories and provide encouragement to exchange their life experiences. At All Heart Home Care, we provide San Diego caregivers that are a good match for the client. The right companion will make life more enjoyable for you or your loved one by encouraging activities that are fun. The client may prefer sharing a quiet day at home or taking in a movie at the local theater. You or your loved one will enjoy the benefits of daily stimulation and encouragement from the companionship of a carefully matched caregiver. • 1 to 4 caregivers work in shift rotations with 8, 12 or 24 hour shifts. • Around the clock provides protection from falls or wondering. • Having fewer caregivers provide continuity and familiar care. • Services are charged at a daily rate rather than an hourly rate. • No overtime charges in comparison to services provided by the hour. • Discounted rates compared to regular hourly care service rates. It isn’t unusual for a relative or spouse to take on the role as caregiver for a loved one. However, when this is not possible and care services are required on a short term basis; it can place a great burden on the person caring for their loved one. It can also make it difficult to get the care that is needed. When you need a caregiver for a short period of time, our respite home care services can fulfill this need. Families often rely on us for respite home care services in San Diego when they have other life responsibilities. Our caregivers will provide your loved one with the care they require.  Please call our office and inquire about the minimum hours required for respite home care services. All Heart Home Care is proud of the high-quality home care assistance we offer in San Diego and the difference our caregivers make in our clients’ lives and those of their families.